Today’s show is a mix of literature, and culture, that is culture in the form of history. Some people think because there have so few blockbuster movies about Canadian historical events and people, that maybe there’s nothing interesting to tell. Well nothing could be further from the truth. From a terrific naval battle with cannon and muskets blazing away in Hudson Bay pitting French and English men o-war to the victorious repulse of the American attempted invasion of 1812 (in which the US President’s house was burned, eventually repainted as the “White House”, to the Klondike gold rush, domestic rebellions in Upper and Lower Canada and Manitoba, Canadian valiant and vital contributions in the World Wars, Korea, Afghanistan, peackeeping around the world and so much much more. And such colourful people, from Sam Steele defiantly ensuring the peace against all manner of crooks, roughnecks and miners in the Yukon, to Alexander Dunn, one of the first recipients of the Victoria Cross during the Charge of the Light Brigade, to a Prime Minister who consulted his dog and the spirit world on critical matters of state..the list goes on and on. Canada’s National History Society has been promoting this fascinating heritage through its most interesting and informative magazines, and also through a number of historical awards. This includes the prestigious Governor-General’s History Award for Excellence in popular media. 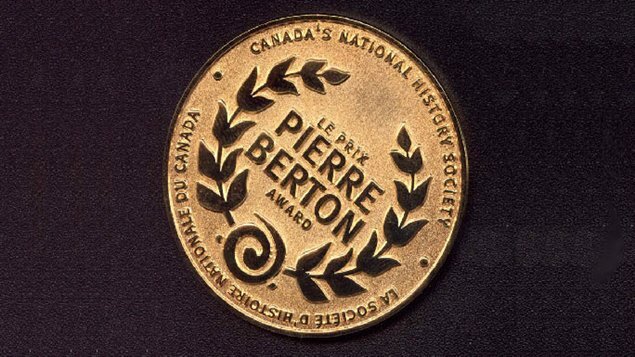 It’s also known as the Pierre Berton award after its first recipient who was a prolific author of books on Canadian historical events and characters. I’ll speak to Deborah Morrison, publisher, president and CEO of Canada’s National History Society. We talk about the society, the award, this year’s short list and Canadian history itself. I hope you enjoy the conversation. As always, your comments are always welcome.